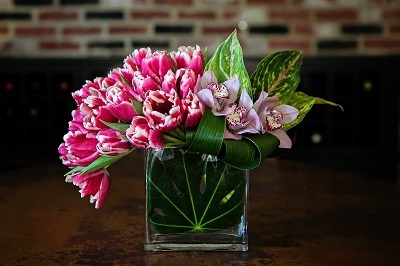 This combination of Hybrid Parrot Tulips and Cymbidium Orchid Blooms is grouped stylishly in a low vase with exotic leafing. Flowers may be available in other colors. 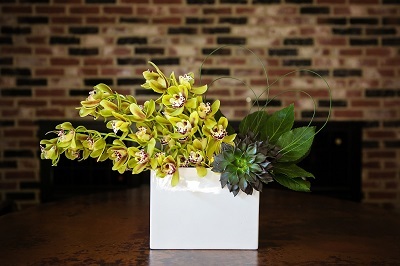 Foxy features three stems of sassy Mini Cymbidium Orchids, accented by a juicy succulent and green leafing. Cymbidium Orchids may be available in other colors. 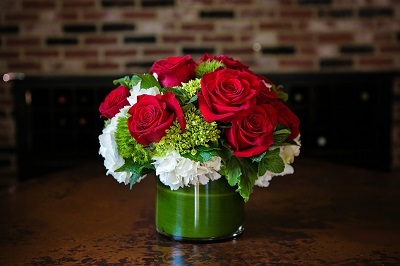 This version of the Valentine’s Day Red Rose “go-to” is low, lush and fabulous! A dozen beautiful open red roses mixed into fluffy white and green hydrangea for just the right look. Ask us about our other dozen rose arrangements perfect for your Valentine! Sugar Lips is the sweetest thing for your special someone. 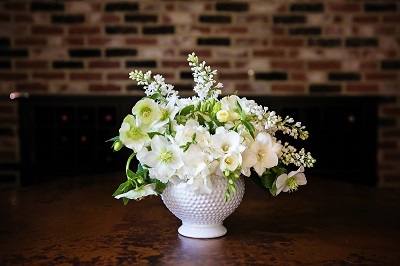 White flowers with a hint of fragrance and romantic texture are perfect in the lovely vessel, which is also available in Dove Gray. Flowers are available in other monochromatic combinations. 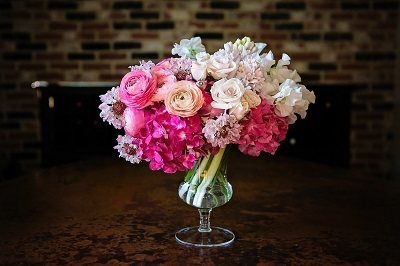 Sweet arrangement of frilly, delicate blooms in shades of pinks and whites, perfectly suited for display in a darling glass vessel. We have a petite version available (for pick-up only,) and a large version. This design can be made in other color combinations, depending on availability! 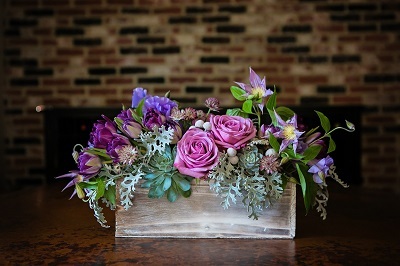 An abundant mix of moody lavender and purple florals with soft foliage, arranged with intriguing texture and dimension in a rectangle wooden box. 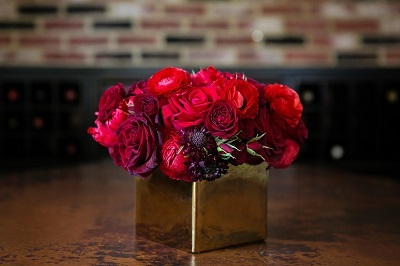 Lush gathering of florals in shades and tones of red in a gold container- just the perfect thing to heat things up! !